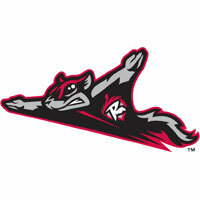 The Richmond Flying Squirrels (39-36) continued to sputter offensively, blanked by the Harrisburg Senators (37-41), 2-0 , on Tuesdaynight at Metro Bank Park. The Senators won their seventh straight ballgame while the Squirrels were shutout for the fourth time in their last five games. The Squirrels have not scored in 38 of their last 39 offensive innings. The Senators jumped to the lead quickly in the bottom of the first inning against right-hander Tyler Beede. Chris Bostick got the uprising started with a one-out single back through the middle. Bostick hurriedly swiped second base and scored for a 1-0 lead when Matt Skole yanked a double into the right-field corner. Beede (1-3) faced little adversity from there, allowing just the lone run over seven innings. He matched his longest outing as a Squirrel and allowed just four hits. He worked around three walks and struck out five. He was saddled with the hard-luck loss – his third. Meanwhile, Senators’ lefty Richard Bleier (6-2) was in control over his seven innings on the hill. He encountered minimal trouble in stifling the Squirrels on six hits. He walked one, hit one and struck out two. He earned his sixth win of the year. Right-hander Sam Runion handled a scoreless eighth inning and handed it off to right-hander Gilberto Mendez. Mendez completed the shutout, earning his eighth save in the process. The Senators capped the scoring with a run off lefty Phil McCormick in the eighth inning. McCormick started his own issues when he hit Bostick. Two outs later, Drew Vettleson laced an RBI double to left-center field. Game two of the four-game series is scheduled for 7 p.m. on Wednesday night at Metro Bank Park. Richmond RHP Pedro Rodriguez (3-3, 2.54) will make the start against Harrisburg RHP Dakota Bacus (4-1, 3.09). The Flying Squirrels Pregame Warmup will begin at 6:30 p.m. on Fox Sports 910 and FoxSportsRichmond.com.